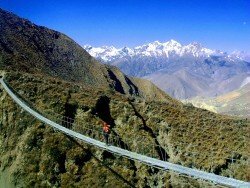 The Marsyangdi Valley, in north-west part of Nepal, is very famous for its natural beauties, breathtaking panorama and, among the extreme sport fun's community, for its hot destination for adrenaline junkies! 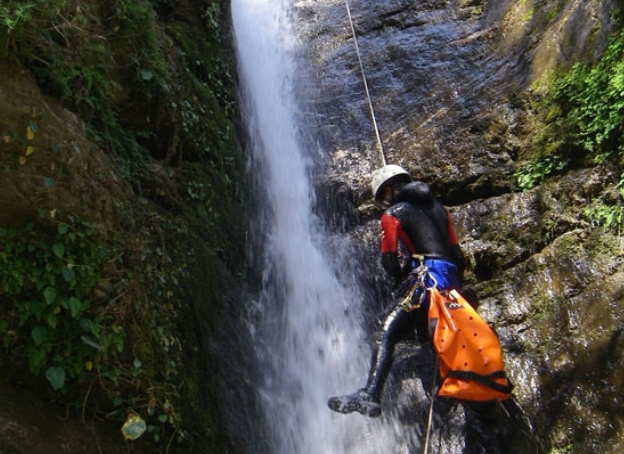 Canyoning here is not just abseil, slide, jump or swim but make all these in one of the deepest gorges in the earth! The Chamje Khola canyon, situated just in the border-line between the great Annapurna II with its elevation of 8091 m/26545 ft height and the Manaslu Peak at 8156 m/26759 ft (ranked worldwide 10th and 8th respectively), rightfully belongs among the most spectacular and challenging gorges in the world. 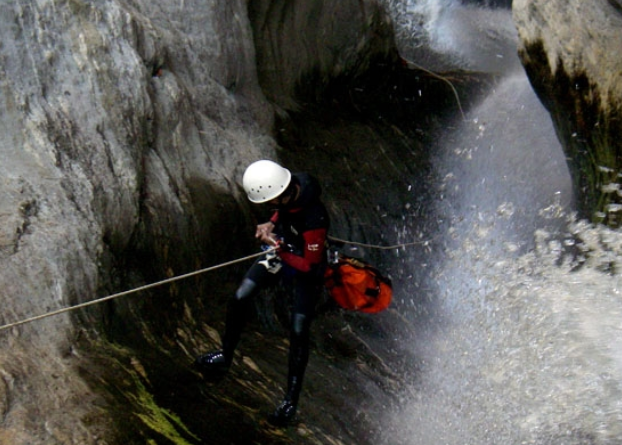 Canyoning in Marshyangdi valley is very demanding even before reaching the starting point of the canyon. 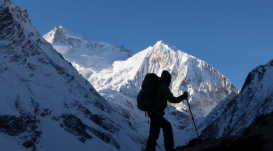 After three days trek, Chamje Khola lies just in your feet ready to be explored and to offer you a truly unique life experience. Marshyangdi river flows for 150 km/93.2 mi long, starting from Annapurna glacier at 3600 m/11811 ft, before joining with Trishuli river. The water temperature here drops to 7°C/44.6°F and the powerful mass of water of the waterfalls requires very good physical conditions and a skillful handling. Till 2005, it was just the lower part of the Canyon which was accessible. It was only in 2011 when the first attempts to explore the upper part of the Canyon have taken place. 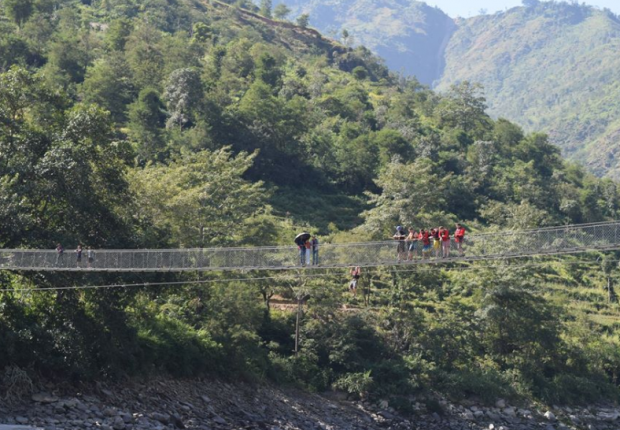 The Chamje Khola has only one get away track and you can move only forwards! Till the very end of this emotional and exciting journey, Chamje Khola doesn’t put an end to your challenge! 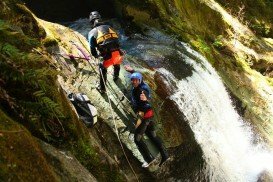 A 140 m/459.3 ft high waterfall is the last step before leaving behind you this gorgeous and pristine Canyon!! DEPARTS & RETURNS: Departs: Our office, Thamel, Kathmandu at 6.30am daily – Returns: Our office, Thamel, Kathmandu at 7pm (Pokhara on request). Itinerary: Depart Kathmandu at 6.30am and travel to 3 ½ hours to our camp. Once arriving, we will have a stop of lunch and get to know the staff. After you will be given your equipment and shown how to use it and after a briefing on land we hit the water. We will then spend the afternoon on a flat section of the river just outside the camp, which is more like a lake than a river – just perfect for beginners. We will spend time getting used to being in a kayak, how it feels and learning how to cross the river, building your confidence as we go. Depending on how you improve, if there is time, we will paddle 7km down the river to Manakamana. Here you will encounter some gentle wave trains and Grade II rapids. You’ll spend the evening enjoying a campfire at the camp. Stories round the fire and traditional music are on the menu for tonight! The best DAY TRIP in Nepal. 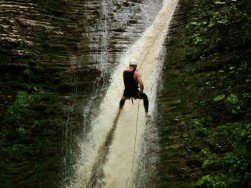 Abseiling down awesome waterfalls!!! 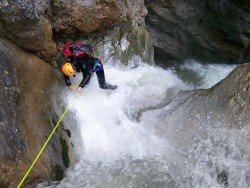 Jalberi Canyon is the best canyoning spot in Nepal and the canyoning site is in a small village called Jalberi, offering great day trips from Kathmandu, Chitwan or Pokhara or a great addition to your kayaking or rafting trip on the Trisuli. No previous experience needed to join as we can teach you everything you need to know and have all the right equipment and expertise to keep you safe and show you a great time. All you need is good attitude and sense of adventure! Trip departs from Kathmandu at 6.30am almost all year round (arrangements can be made from Pokhara or Chitwan on request and we take a short break during the monsoon months when the water is too high). 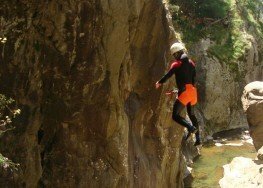 The trip starts with a jump into the canyon, it will get your heart beating right from the very beginning! 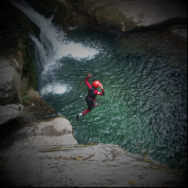 The largest waterfall we run is around 26 m. Sometimes we slide and sometimes we jump directly into the clear pools. After around 3 1/2 hours of adrenaline fueled fun we’ll stop for a picnic lunch in the canyon before we drive back to Kathmandu, Chitwan or Pokhara or if you prefer, come and spend a great night at our Trisuli River Camp, Gurung Valley. A trip definitely not to be missed!!! BEST SEASON: All year round! A great way to travel: Avoid spending 8 hours on the bus from Kathmandu to Pokhara or Chitwan when you can raft half of it! 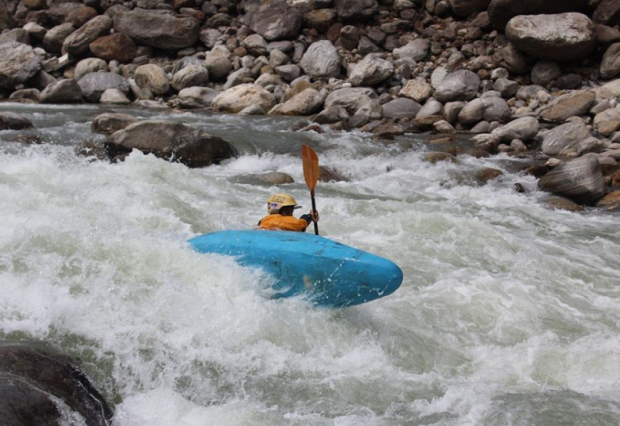 Trisuli River Rafting is one of Nepal’s most popular river trips, ideal for everyone, from the most experienced kayaker to the first time rafter. It is also our home as we have built our fixed riverside camp. It’s an ideal year round river (even during monsoon) just a stones throw away from Kathmandu providing a pool drop style of big volume river. 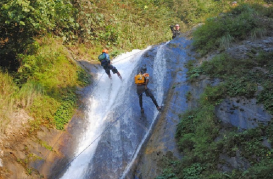 This rafting trip will quench the white water desire of travelers with limited time in Nepal. This trip leaves plenty of time to play rafting games, do some cliff jumps, swim, chill out and soak up the surreal atmosphere of Nepal’s River life. It conveniently ends at our tented river side camp, Gurung Valley. Why not extend your trip and enjoy a night at our 1 million star hotel and soak up as much river life as you can! Get off the bus and on the river! Join us for some monsoon rafting to see how fierce this river can really get! Whitewater Rafting: No previous experience needed to join a rafting trip on the Trisuli. Great for the first timer and families. 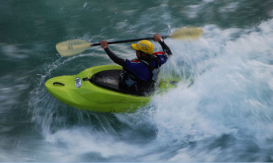 Kayaking: A fantastic warm up river for those going on to the bigger rivers in Nepal. Plenty of small rapids and a few challenging ones. 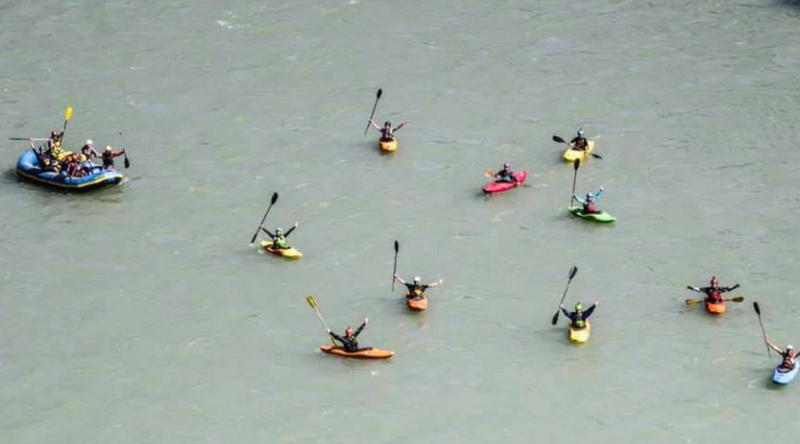 The river is ideal for first time kayakers wanting to learn a thing or two about whitewater. River Rafting Tour Class III / IV / V & outdoor experiences on Sun Koshi River. Not an expedition. 30 Days – air travel not included. Linz is situated in the north center of Austria, at about 30 km /19 mi in the south of the Czech border, lying on both sides of river Danube. It is the third largest city in Austria and the capital of the state of Upper Austria. One of the things the city is famous about is the arts scene and the vibrant music. Apart from these, it is a sporting paradise where many athletes can find their sport of choice. Steyr is a city which is situated in the federal state of Upper Austria, right on the junction of Steyr and Enns rivers. It is the third largest city in Upper Austria and the 12th most populated. 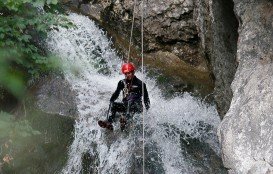 However, the city serves an exquisite spot in Gesause National Park, at 91 km/56 mi in the southwest of Steyr, in the Styria State, ideal destination for canyoning. Trisuli river originates in the highland of Tibet and is one of the largest rivers in Nepal. It crosses Nepal for many kilometers / miles creating spectacular canyons, sandy banks and vertical cliffs! 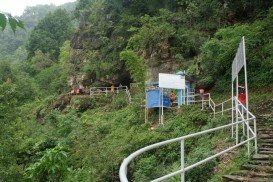 Siddha Cave or commonly known as Siddha Gufa is situated in Bandipur, Tanahu District, Nepal. If you ever find yourself in Bandipur, a visit at this cave is well worth it. 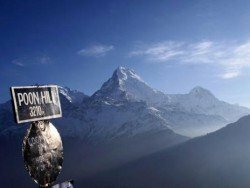 Manaslu Massif, located in the Western Region of Nepal is lying in the Mansiri Himal in Gorkha District, close to Annapurma. Since 2012, it is conducted the Manaslu Trail Race one of the most challenging and demanding running race.